"I got a brand new iPhone X this September. However, all my SMS remained stay in the old Samsung phone. I wonder how can I get my SMS back from the old Samsung phone to the new iPhone X because I don't want to lose the best memories that carried by the text messages." 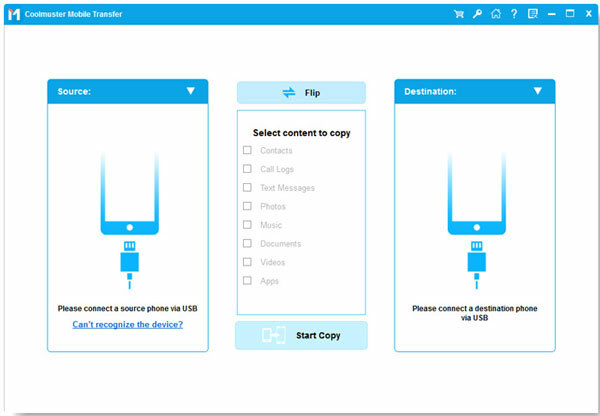 By following the step by step guide below, you can copy text messages from your old phone to iPhone X or iPhone 8 effortlessly. The main window of the iPhone SMS Transfer will pop-up like the following picture after you install it correctly. Then, click "Phone to Phone Transfer" section from the primary interface. Use two USB cables to connect your old phone and new iPhone X/8 to the computer. 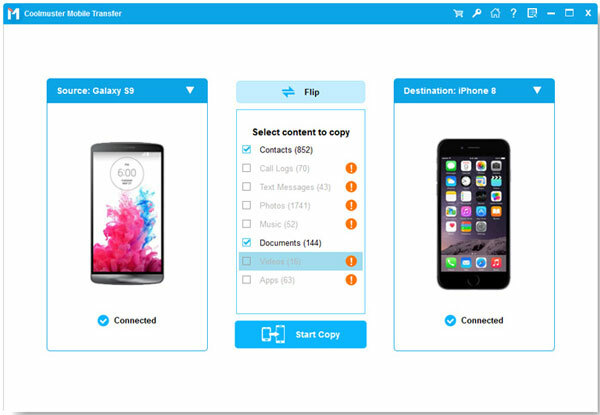 The two connected phones will be detected by the software and displayed on the interface side by side. You can click Flip to switch them. Select the "Text Messages" tab from the middle of the window and then give a click on the "Start Transfer". After that, all text messages will be transferred from the old phone to the new iPhone X or iPhone 8.